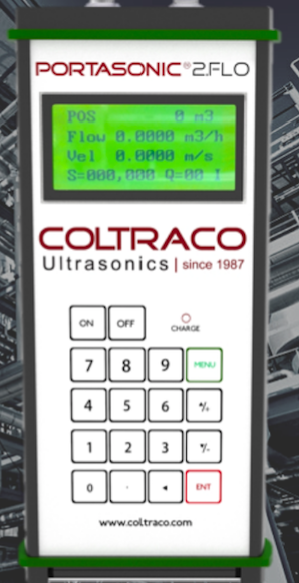 The Portasonic 2.FL0 ultrasonic flow meter from Coltraco Ultrasonics is used to measure flow rates of clean liquid in pipes. The device comes with clamp-on transducers for non-invasive measurement. It utilises two transducers, one that acts as an ultrasonic transmitter and the other a receiver. There are three principles of operation; V-method, W-method or Z-method which refers to transducer positioning. The software calculates the time it takes for the ultrasonic pulse to pass from the transmitter to the receiver, which is dependent on the flow rate. It can be used for spot checks using an internal, rechargeable battery or for extended continuous operation as a 4-20mA flow transmitter with AC power input. What are the benefits of clamp-on flowmeters?